I have been working with local art organizations and galleries for almost 10 years now and I often get asked: how do I start an art collection, what artist shall I collect. Well, the answer is very simple, just buy what you like. Often art collectors collect works of artists that they connect with on a personal level. 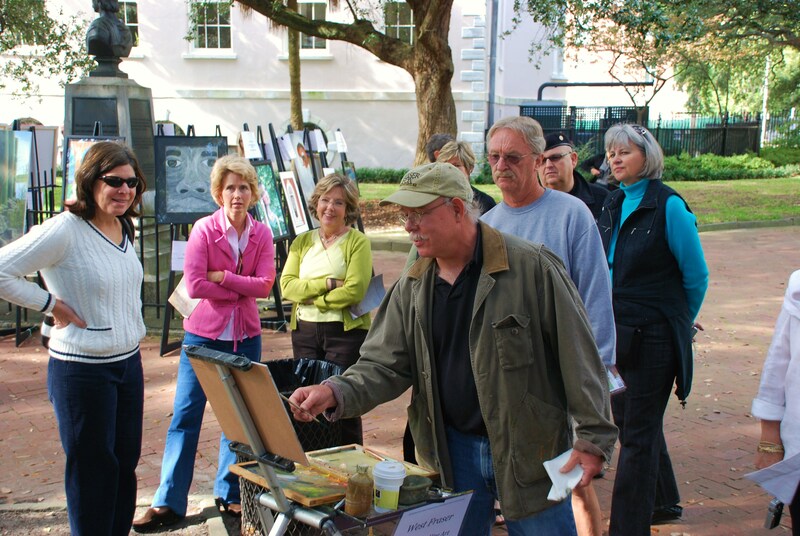 Each year, we have a great fine art event right here in Charleston. CFADA’s Charleston Fine Art Annual, taking place on November 2-4, raises money for art programs at local high schools, but also offers an opportunity to meet “who is who” in the Charleston art world. 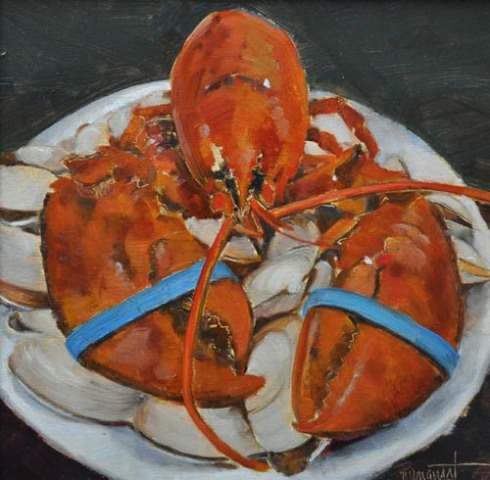 The event features art receptions at CFADA galleries, plein air painting demonstration at Washington Park, receptions, silent auction and print fair at the Gibbes Museum. Works of art from the park will be up for bid (benefiting art programs at local high schools) at CFADA’s BUY ART Silent Auction & Patrons’ Reception on Saturday, November 3 from 6:30 to 8:30pm. If you are thinking of starting an art collection, or already collect art and these are your favorite artists, join CFADA for a fun evening filled with art and support the next generation of local artists. Tickets for the silent auction are $55 per person and available at www.cfada.com! Catering provided by Cru Catering. The Painting in the Park is free and open to the public. CFADA will be accepting absentee bids in the park, so if you love a painting, just give them your credit card info and they will bid for you! CFADA has donated over $250,000 to art programs at local high schools since 2004. 6:30 – 8:30 p.m. – CFADA’s Buy Art! silent auction & patrons’ receptionbenefiting the Charleston County High Schools’ art programs, $55 in advance/$65 day of event. The Charleston Fine Art Annual raises funds that keep art alive in local high schools. Since 2004, CFADA has donated over $250,000 to art programs at eleven local high schools. You always know what local produce and products are in season when you participate in the Charleston Fine Art Dealers’ Association’s Palette and Palate Stroll. The event features local chefs and restaurants paired with local fine art galleries, all members of the CFADA. With menus like: Charleston Shrimp, Corn Kimchi, and Bibb Lettuce prepared by Chef Brock of McCrady’s, and Royal Red Shrimp Ceviche prepared by Circa 1886 Chef Collins, the popular summer event will once again sell out! Locals and visitors who travel to Charleston for the event are to expect great local fair paired with Southern art. Galleries will feature food paitings (Horton Hayes Fine Art will feature Shannon Runquist) or local artists or Southern scenes. So either you want to meet and mingle with your favorite chefs or artists, or you just want to be part of Charleston great social scene! See and be seen at the Palette and Palate Stroll this Friday, July 13th from 5:30-7:30pm! Tickets are still available at www.cfada.com. $45 per person. Once you buy a ticket online, you can check in at any participating gallery and enjoy your evening, strolling through the historic street of Charleston, making stops at 8 local galleries! I suggest that you think about your preferred stops beforehand because you will have such a good time at each gallery that it will be hard to move onto the next one! 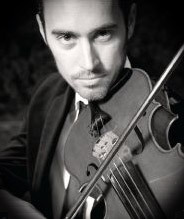 My Slovak friend, Peter Kiral who founded Charleston Virtuosi in 2009, is presenting a classical Easter Concert on April 7 at 4pm at the Circular Church. String Quartet will be performing “Seven Last Words” by Joseph Haydn. Tickets are $10 per person. The City of North Charleston’s 2012 North Charleston Arts Festival is taking place on May 4-12. The nine-day celebration of the arts is one of the most comprehensive arts festivals in the Lowcountry. In the past over 30,000 residents & visitors enjoyed a fabulous array of performances, exhibitions, and activities. The City is taking entries for its 2012 North Charleston Arts Festival design competition with the winning artist to receive $500 and have the work become part of the city’s public art collection. The winning piece will be announced no later than January 24, 2012 and will become the official design of the arts festival (featured on promotional materials and merchandise, including advertisements, brochures, posters, apparel, online and more). The winning artist also will be given an opportunity to exhibit other works at the North Charleston City Gallery during the festival. Applications are online with a deadline of noon on Jan. 21. There is no entry fee to participate. For more information, call 843-740-5854. Charleston Restaurant Week kicks off today! Take your wife out for a date night. This one is not going to break a bank! Most restaurants offer great deals, a fixed menus features 3 for $20, 3 for $30 or 3 for $40. These are special discounted menus are determined by the restaurant and is usually based on the price point of their regular menu. The three items you have to choose from will vary by the restaurant. Some offer appetizer, entree, dessert … while others may offer a beverage as one course. You need to make reservations as soon as possible. The restaurant week ends on September 18. You can’t buy love but you can pay heavily for it! That is if you buy a bachelor at the Charleston Rugby Charity Auction this Thursday at Charleston Aquarium. The event starts at 7pm. And yes, the event is a benefit for Pet Helpers. Travel fever? Stop by Horton Hayes Fine Art on Friday from 6 to 8pm to view – and take home if you wish – paintings from the new exhibition by the participants in Chris Groves’ and Mark Kelvin Horton’s painting workshop in Italy, The Light and Life of Tuscany. The workshop took place last May near Siena in the Tuscany region of Italy. The students spent a week at San Fedele, a restored monastery dating from the 12th century. Instruction took place on the scenic grounds of the venue as well as in nearby hilltop villages and a local vineyard. Jealous? You can join Mark and Chris next year! Over 35 arts organizations, all wonderfully interesting – I know this for sure because I created posts about all of them, most include a video – will be presented at the Memminger Auditorium on Saturday from noon till 5:30pm. The event is titled “OPEN” – it is an arts expo featuring interactive art booths, street performances, food trucks and much more! The Charleston Regional Alliance for the Arts’ greater mission is breaking the barriers to participation in the joy of the arts! So go, learn and participate! The cultural life in Charleston is incredibly rich and diverse, be open to doing something new this year!